Pediatric Neurology Unit provides service at Hacettepe İhsan Doğramacı Children's Hospital. In the unit, every morning between 08:30 and 12:00 training activities are carried out and between 14:00 and 17:30 patients are examined. On three days of the week (Monday, Wednesday, and Thursday) new applicants and on two days (Tuesday, Friday) patients that are already diagnosed and being followed up are examined. Besides, academic staffs of the unit perform special examinations for patients. Electroencephalography (EEG) is the recording of normal and abnormal electrical activity originating from brain cells, along the scalp. The electrodes are applied to the scalp with a conductor called paste. Difference of electrical signals between these two electrodes is recorded on a moving paper by enlarging the data. During this procedure, the person is not exposed to any electrical flow; however the electrical activities of the brain are printed out on a paper. While EGG abnormality may not be shown on each patient having seizure, EEG abnormality may be observed in patients who do not have seizure or epilepsy. Among the seizures in patients having seizure or epilepsy, average of 70% abnormality may be found in EEGs. For your child's health, it is important for you to read all considerations in order for your child to go through the EEG test comfortably and for us to take the advantage of it. Please do take time to read all information given. It is NOT NECESSARY for your child to fast before the EEG test. Make sure the child's hair is washed as it has an important role on preventing the artifact formation. Generally, the child should continue taking antiepileptic medications before the test. However, sometimes it may be suggested not to use the antiepileptic medications before the test. Only your physician can make the decision about what to do, the only authorized person that you should consult is your physician who requested the test. It may be required to keep your child sleepless before EEG test. Generally, it is requested that your child sleep the half of his/her normal sleep duration. For example, if your child goes to bed at 20:00 and wakes up at 07:00, it means the child sleeps for 11 hours. You are asked to make your child sleep at the same hour but to awaken the child after the half of his/her sleep duration (5.5 hours) and to keep child awake until the test in the morning. Sleeping and wakefulness recordings are tried to be done during EEG, however it does not mean that EGG will not be effective if the child does not sleep. The necessary thing is that child is kept awake for a sufficient time. You should go to the EEG test room at 08:30 in the morning of the appointment day with your approved EEG test document. You should be quite, as there may be a sleeping child in the room. As the EEG rooms are separated from each other with a folding screen, noises can easily be heard from the next room. Therefore, a couple of sleeping or awake children are taken into the room at the same time. For that reason, in the meantime there may be changes in the appointment queue and thus we expect your understanding. EEG test is a comfortable examination that provides an opportunity to rest for 15-30 minutes. However, this period may take longer if you should get your child to sleep .In order to shorten this period and to enable the observation of abnormalities easily; keeping children awake for the half of their normal sleep durations is a method used. The children who cannot be made sleep despite these methods are given certain medications that do not affect the brain waves but can make them sleep. These medications will be provided by our EEG technicians and the dose of medication will be determined in accordance with the age/weight of the child. EEG test will take approximately 15-30 MINUTES. In other words, your child needs to lie on the bed perfectly still for about 15-30 minutes for the EEG test by which there is no risk of being harmed or hurt. Please don't get worried, awake and easy communicating children will be instructed by the technician during the test. One person may enter the EEG room with the patient should remain at a certain place and not walk around. The child can breathe easily during the test but if needed he / she may be requested to hyperventilate. This lasts 3-5 minutes the most. Unless otherwise indicated, eyes will be kept closed. A repetitive light stimulant is emitted from a source positioned 25-30 cm across the eyes which is called photic stimulation. These repetitive stimuli of variable frequency is applied for 5-10 seconds in order to determine whether the child has light-sensitive epilepsy. By following the instructions of the technician eyes either will be opened or closed. Child can swallow. In certain circumstances, patient would need to receive medications such as benzodiazepine, pyridoxine, and etc. through intravascular line. Besides, the procedure takes 25-30 minutes when children do not need to sleep. The pastes (conductors) used to stick the electrodes will remain on child's hair but these either be removed with a paper towel or can stay until going home. Unfortunately, washing procedure cannot be performed at hospital because of the inadequate conditions. How is the daily appointment schedule organized? EEG test is carried out IN ACCORDANCE WITH THE APPOINTMENT QUEUE. However, younger children have the priority. As being perfectly still during the test is difficult for children younger than 3-4 years, they should be made sleep with or without medication in order to be tested. The children who wake up and move during the test should be taken out of the EEG room and be waited until they fall asleep again. Therefore, THE SLEEPING CHILDREN HAVE THE PRIORITY TO BE TESTED. Furthermore, sometimes INPATIENTS IN CASE OF EMERGENCY HAVE PRIORITY TO BE TESTED. As a general rule, outpatients are called in the morning hours and inpatients that are followed-up are called in the afternoon hours for EEG, however there may be exceptions. When will you receive your EEG result? You can receive your EEG result from Secretariat of Pediatric Neurology in the afternoon (starting from 16:00) on the following working day after the test. Your compliance and assistance during the EEG test are very important for your health to get better. Thank you for your collaboration. Get well soon! This method is used when no abnormality is observed through the EEG records acquired for 15-30 minutes or when the clinical seizure should be seen and evaluated through video recording. The physicians decide whether the method is required for patients. With this method EEG and video records can be done simultaneously. By this means, it is also used to distinguish certain situations that are confused with seizures. All rules and methods stated for EEG also apply to ST-EEG-VM. However, the most important difference between them is the time period. A patient can be monitored for up to 3-4 hours in a day. You should go to ST-EEG-VM room at 13:30 on the appointment date with the approved ST-EEG-VM request document. When will you receive your ST-EEG-VM result? You can receive the ST-EEG-VM result in the afternoon (from 16:00) on the second working day after the test, from Senior Nurse Fatma Dinler in the room where the records are acquired. So, unless there is a national holiday during week days, the EEG results of tests which are performed on Monday are received on Wednesday afternoon, tests of Tuesday on Thursday afternoon, tests of Wednesday on Friday afternoon, tests of Thursday on Monday afternoon, tests of Friday on following Tuesday afternoon. You will be notified about the extraordinary situations. Your compliance and assistance during the ST-EEG-VM test is very important for you to help your child’s health to get better. Thank you for your collaboration. Get well soon! This method is used for patients whose Long-term EEG Video Monitoring is necessary, in order to prepare the patients whose surgery is planned because of refractory epilepsy, when no abnormality is observed through 3-4 hours of ST-EEG-VM records and 15-30 minutes of EEG or when the clinical seizure cannot be recorded in this period. The most important difference of it from ST-EEG-VM is that the EEG and video are recorded in the inpatient service for 7-10 days at most. If seizures are observed more frequently this period may be shorter for certain patients. The main purpose of this method is to record the seizures that are necessary for the detection of the focus that causes epilepsy in patients who are being prepared prior to surgery. Generally, it is aimed to record at least 3 seizures depending on the patient. This is an EEG method and all rules and methods stated for EEG also apply to LT-EEG-VM. However, the most important difference between them is the time period. In this method, a patient is hospitalized for recording for 2 days at least and 10 days at most. As recording takes longer in this method, the material that is used to affix the electrodes is different. This material is a liquid called collodion, which ensures the electrodes to remain adhered on the haired skin for a long time period. Electrodes are affixed to the haired skin with gauzes, which were wetted with this liquid by blowing air and a conductive gel is sprayed through the holes of the electrodes to connect the haired skin and the electrodes. The length of the cable that is connected to the EEG device allows the child to move in the bed and in the room comfortably. Video is recorded continuously by a wall-mounted camera. Certain methods (reducing medications, keeping awake and physical activities, etc.) will be used for the patient to have seizure during hospitalization, if required. The service physician will warn and inform you in this respect. A bell button is placed on the wall near the couch allocated for you, for the nurses and/or physicians to immediately come to the room when the child has a seizure. It is sufficient to press the button. It is of prime importance to inform the service nurses immediately, if the child moves in the bed or in the room, since the direction of the camera should be changed. Otherwise, your child may have a seizure at the moment when the child is out of the sight of camera and this seizure may not be recorded. A TV is placed in front of the bed for the child not to get bored during the long period of hospitalization. In addition, if you also bring the child’s favorite books, coloring books, etc., your days will be more enjoyable. When will you receive your LT-EEG-VM result? You can receive the LT-EEG-VM result in the afternoon (from 16:00) of the seventh working day following the test, from Senior Nurse Fatma Dinler, who works in the room 5 or 6, located in the hallway of Pediatric Neurology Subdivision. You will be notified about the extraordinary situations. Evoked potentials are the responses obtained from the brain cells through any external stimulus such as visual, auditory or sensual. This method is used to determine the suspicious sensory lesions. Visual Evoked Potential (VEP): It is a method based on examining the activities in visual pathways, beginning from the eye to brain, by applying visual stimuli. The visual stimuli can be applied in two ways in accordance with the compliance of the child. Easy going patients are requested to sit in front of a TV screen displaying changing squares like a checkerboard and to look at the square in the center of this image continuously. The changes occurred in the brain caused by the visual stimuli of changing squares are obtained with a less number of electrodes affixed to scalp with paste, as in EEG, and recorded on a computer. The average of obtained several responses are printed on a paper with the help of a computer. In children who cannot adapt, the stimulus is created by the continuous blinks of a light device close to the eye of the patient whilesleeping. Similarly the effects of this blinking light are recorded. As in EEG The children who do not fall asleep by themselves will be made sleep with medications given by the technician. Electroretinogram (ERG): It is a method based on examining the activities in the pathways between the retina, which is a light-sensitive tissue, and the brain by applying visual stimuli. It is performed in the same way as VEP. In this method, the places of the affixed electrodes are different. Brainstem Auditory Evoked Potential (BAEP): It is a method based on examining the activities in auditory pathways, from ear to brainstem, by applying auditory stimuli. An auditory stimulus is sent to one of the ears with an eartelephone and the response is obtained through the scalp. The changes occurred in the brainstem, which are caused by the auditory stimuli in variable frequencies are obtained with a less number of electrodes affixed along the scalp with paste, as in EEG, and recorded on a computer. The average of severalpicked up responses are printed on a paper with a computer. While the procedure takes 15 minutes in easy going children, it is extended as much as the time spent during falling asleep in children who are not. Somatosensory Evoked Potentials (SEP): It is picked up by stimulating sensory fibers. Stimuli are applied through the nerves in arms and legs and they may help in determining the places of peripheral nerves, neural networks, spinal cord, cerebellum, and brain lesions which comply with these. The changes occurred are obtained with a less number of electrodes affixed along the scalp with paste, as in EEG, and recorded on a computer. The average of several picked up responses are printed on a paper with a computer. While the procedure takes 15 minutes in easy going children, it is extended as much as the time spent during falling asleep in children who are not. When will you receive the evoked potential results? You can receive all evoked potential (VEP, ERG, BAEP, SEP) results in the afternoon (from 16:00) on the second working day following the test from the room where the test is performed. So, unless there is a national holiday during week days, the EEG results of tests which are performed on Monday are received on Wednesday afternoon, tests of Tuesday on Thursday afternoon, tests of Wednesday on Friday afternoon, tests of Thursday on Monday afternoon, tests of Friday on following Tuesday afternoon. You will be notified about the extraordinary situations. The psychometric evaluations, which are performed in our unit to evaluate the mental developments of children can be collected under three main headings. Stanford Binet Intelligence Test: It is used to assess the mental developments of children between the ages of 2 and 16. Test scores provide information on the speech, fine/gross motor development, attention, perception and memory processes of the child. Wechsler Intelligence Scale for Children (WISC-R): It is used to evaluate the mental developments of children between the ages of 2 and 16. In the evaluation results, three intelligence points composing of verbal, performance and total are obtained. Verbal subscales aim to measure verbal attention, perception and memory processes, and performance subscales aim to measure visual attention, perception and memory processes. Bayley Scales of Infant Development: It is used to evaluate the mental and physical developments of infants from 1-30 months of age. It is determined whether the mental, physical, speech and social developments of children are compliant with their age-levels, depending on the scores obtained through the mental and motor subscales. Denver Developmental Screening Test: It is used to evaluate the developments of children between 2 months and 6 years of age. It includes four subsections: personal-social, fine motor, language, and gross motor. For what purposes are the tests used? To follow the positive or negative developments that exists in patients in the long-term, with postoperative evaluations. Please pay attention for your child not to be sleepless and hungry while coming to psychometric assessment, which is requested by the physicians of Pediatric Neurology Unit. Please try not to book appointments for the days when particularly EEG and magnetic resonance imaging (MRI) tests are performed. Because the medications given during these procedures for your child to stand still will affect the performance of your child negatively during the test. Please pay attention for your child not to have complaints such as high fever, vomiting, diarrhea, cough, etc., or procedures such as vaccination, lumber puncture (LP), biopsy on that day. The psychometric assessment will take 15-60 MINUTES in accordance with the age of the child and with the features of the tests. The purposes of special training are to meet the training requirements of children, whose mental, physical, social and speech developments are behind their age-levels, to make them to be able to maintain their lives on their own and to integrate them with society. Furthermore, it is provided for the students who need special training, to get education in normal schools, with their age-levels. The practice defined as "mainstreaming" has been attempted to be generalized. How is health commission report for special training received? The development definition report should have been completed by a psychologist. You will submit your file to our secretariat after the assessment. Health Commission Report can be issued approximately in 1 month and the reports are valid for 1 year. Lumber Puncture (LP): It is a method used to examine the liquid circulating around the spinal cord and in the cavities in the brain and. Performing LP may be required to observe the symptoms of various diseases (infection, bleeding, tumor, metabolic-degenerative, multiple sclerosis, etc. ), to measure the intracranial pressure and to apply treatment. Neuromuscular Diseases and Skin-Muscle-Nerve Biopsy: Pediatric Neurology Unit of Hacettepe University Faculty of Medicine is one of the most significant reference centers in our country, in terms of neuromuscular diseases, as well as other branches. It has been leading the activities in our country on identifying new diseases, determining the genetic and clinic characteristics of them, developing treatment options, in addition to the services offered to families. Muscular dystrophy and its various types, inflammatory myopathies, congenital muscular dystrophies, non-progressive myopathies, myotonic dystrophies, myotonia syndromes, mitochondrial diseases, and spinal muscular atrophies are the major disease groups that are followed up. Molecular diagnosis of Duchenne muscular dystrophy, spinal muscular atrophy (SMA), point mutations and deletions in mitochondrial diseases, Friedreich’s ataxia (FRDA) and certain subtypes of congenital muscular dystrophies is possible with the collaboration of Medical Biology, Genetics, and Pediatric Pathology departments. Prenatal diagnosis on these diseases is also possible. Patients who are suspected with “neuromuscular disease” are followed up in the departments of “Neuromuscular group” and Nutrition and Diet of the Orthopedics, physiotherapy and rehabilitation vocational school. Firstly the patients are queried in terms of complaints, stories and intrauterine fetal movements, detailed motor and mental development stages and then they are evaluated along with their family stories and family trees. While serum creatine kinase (CK) and muscle ultrasonography are the first step of laboratory examinations, electromyography (EMG) is not generally preferred in childhood, except for the selected cases, since it is difficult to apply and requires experience. However this test is quite significant in myasthenia gravis and peripheral nerve diseases. Muscle biopsy is performed by specialized physicians on patients for whomindications are made in the biopsy room located in Pediatric Pathology Unit. While the skin biopsy is a frequently performed test, it is usually collected together with muscle tissue and it holds considerably high value in diagnostic terms. And nerve biopsy has been decreasingly performed in childhood diseases. •	Muscle biopsies are performed between 08:00 and 08:30 in every morning. Thus, appointment should be received from the relevant specialized physician before biopsy. It is necessary to apply on the previous day for the planning of the necessary premedication and provision of necessary materials and set required for biopsy. •	While the children under the age of 10 are applied premedication with cardiac cocktail or chloral hydrate when needed, in addition to the local anesthesia before biopsy, the children over 10 years are and cooperative are applied only local anesthesia. Fasting is not required before biopsy. •	Premedication is applied half an hour prior the biopsy in pediatric emergency outpatient clinic of the hospital. •	The known diseases, allergic reaction against local anesthetics and medications in use should be notified before biopsy. •	Muscle biopsies are generally applied with a incision of approximately 3 cm on the right thigh. The muscle piece taken does not cause weakness since it is small. The incision is closed with three sutures. •	The site of biopsy is disclosed after remaining closed for 24 hours and dressed for three- four times in a day and then the sutures are removed on the tenth day. •	During the week after biopsy, oral antibiotic and also analgesic is applied, when needed. It is suggested the children to rest and to avoid excessive activities during the day of biopsy. On the following day, patients can return to their daily activities. •	The biopsy results are reported by Pediatric Pathology Unit within approximately 1 month and the patients are reevaluated then families are notified about suspected diseases in addition to the necessary instructions and additional tests. Outpatient clinic examination appointments are booked by dialing 444 4 444 or clicking “Online Appointment” link. Children between the ages of 0 and 18 can be examined. Outpatient clinic consultation appointments: Appointments are scheduled only for patients who are requested neurology consultation. EEG appointments are booked by dialing 444 4 444. The patient should have been followed-up by Pediatric Neurology. The patient should be kept sleepless for the half of normal sleep duration before the test, medications in use should not be changed and the patient should not be hungry prior the test. It should be noted that there may be changes on the appointment hours depending on the children’s sleep. Appointments are scheduled by Charge Nurse Fatma Dinler who is working in the rooms 5 and 6 within Pediatric Neurology Subdivision on the fourth floor of Hacettepe İhsan Doğramacı Children's Hospital. Appointments are scheduled for the next 2-3 months. It can also be booked by telephone. Thus, please contact Charge Nurse Fatma Dinler by dialing +90 (312) 305 19 68 or +90 (312) 305 11 93. Please bring your official referral document and/or health record with you. Appointments are scheduled by Charge Nurse Fatma Dinler who is working in the rooms 5 and 6 within Pediatric Neurology Subdivision, on the fourth floor of Hacettepe İhsan Doğramacı Children's Hospital. A contact number is received from the family for appointments, the family of the patient is called by Charge Nurse Fatma Dinler and are usually notified 24-48 hours before the appointment. Since the patient will be hospitalized on the appointment day, please bring your official referral document and/or health record and materials that may be required during at most 7 days of hospitalization. 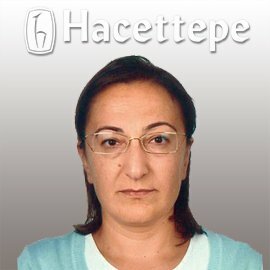 Please contact Charge Nurse Fatma Dinler working in the rooms 5 or 6 in Pediatric Neurology Subdivision on the fourth floor of Hacettepe İhsan Doğramacı Children’s Hospital and have the procedures of hospitalization from the hospitalization section on the ground floor of Hacettepe İhsan Doğramacı Children’s Hospital after getting the hospitalization document from her. After taking the proceeded file , please apply to the secretariat of Ward 35 (by entering through door no. 3 and then going up to the floor 5), which is one of the inpatient services of the children’s hospital. Appointments are scheduled in room no. 8 located in the hallway of Pediatric Neurology Subdivision on the fourth floor of Hacettepe İhsan Doğramacı Children's Hospital. Please bring the Request Document of Hacettepe University Hospitals and your official referral document and/or health record, if any, when coming for booking an appointment. "Clinic Information" and “Physician Name" sections on the request document should be duly completed. Appointments are scheduled in room 3 located in the hallway of Pediatric Neurology Subdivision on the fourth floor of Hacettepe İhsan Doğramacı Children's Hospital. You will be notified about the time, hour, location and a required material by the physician examines your child. It is located on the fourth floor of Hacettepe İhsan Doğramacı Children's Hospital. After entering through the doors no. 1 or 2, you should go up to floor 4 with the elevators in the hallways of Children's Hospital and you should apply to the secretariat of Pediatric Neurology. It is located on the fourth floor of Hacettepe İhsan Doğramacı Children's Hospital. After entering through the doors no. 1 or 2, you should go up to floor 4 with the elevators located in the hallways of Children's Hospital. They are the first, second and forth rooms from right with door no. "1, 2 and 4", on the hallway that provides connection with departments. It is located on the fourth floor of Hacettepe İhsan Doğramacı Children's Hospital. After entering through the doors no. 1 or 2, you should go up to floor 4 with the elevators located in the hallways of Children's Hospital. It is the second room from left with the door no "7", on the hallway that provides connection with departments. It is located on the fourth floor of Hacettepe İhsan Doğramacı Children's Hospital. After entering through the doors no. 1 or 2, you should go up to floor 4 with the elevators located in the hallways of Children's Hospital. It is the room with door reads as "Aydan Semker EEG-Video Monitorizasyon Laboratuvarı" (Aydan Semker EEG Video Monitoring Laboratory). It is on the fifth floor of inpatient servicesof Hacettepe İhsan Doğramacı Children's Hospital. After entering through the door no. 3, you should go up to floor 5 with elevators on the right. It is a section within Ward 35. The telephone numbers stated in short-term EEG- video monitoring section are used for appointments. The number below is to contact the patient hospitalized in the room. It is located on the fourth floor of Hacettepe İhsan Doğramacı Children's Hospital. After entering through the doors no. 1 or 2, you should go up to floor 4 with the elevators located in the hallways of Children's Hospital. It is the first room from left with door no. "8" on the hallway that provides connection with departments. It is located on the fourth floor of Hacettepe İhsan Doğramacı Children's Hospital. After entering through the doors no. 1 or 2, you should go up to floor 4 with the elevators located in the hallways of Children's Hospital. It is the third room from right with door no. "3", on the hallway that provides connection with departments. It is located on the fourth floor of Hacettepe İhsan Doğramacı Children's Hospital. After entering through the doors no. 1 or 2, you should go up to floor 4 with the elevators located in the hallways of Children's Hospital. It is the fifth room from left with door no. "8" and reads as "Hemşire Odası" (Nurse Room), on the hallway that provides connection with departments.